The software can use either an item master or a purchase screen to add inventory items. The 'Purchase' screen contains detailed shipping information, including terms, ship via and shipping account numbers. 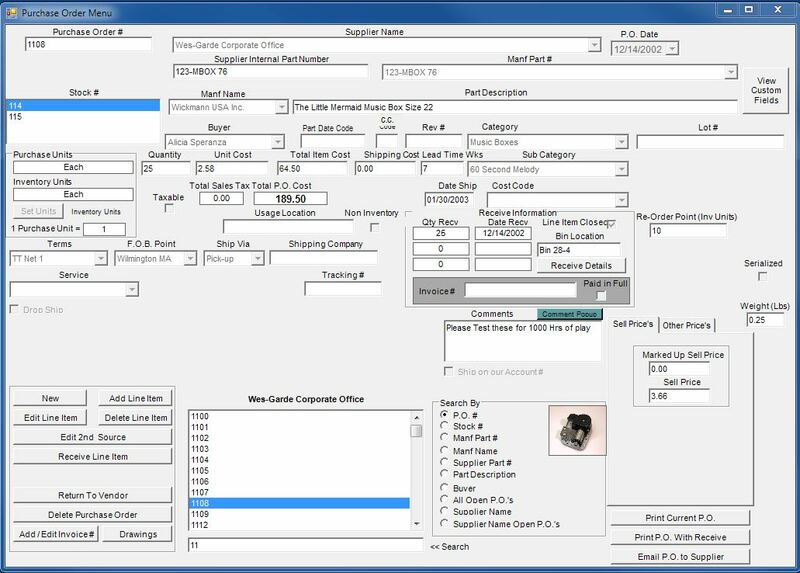 There are several part number fields and an optional usage location field along with a reorder quantity field. The user can assign an unlimited number of second source suppliers with pricing information. An optional drop ship address can be entered and printed on the hardcopy. The software can include four user definable purchase fields along with four user definable purchase line item fields.